Remove outer leaves of cabbage. Finely shred cabbage and apple. You can use a food processor or a hand shredder. Place in a large bowl. Add salt to cabbage and apples. Toss to combine. Slice orange in thin pieces and place around the outside of the jar or you can just layer them in the jar anywhere. Pack cabbage and apples into the jar. Cover with water. 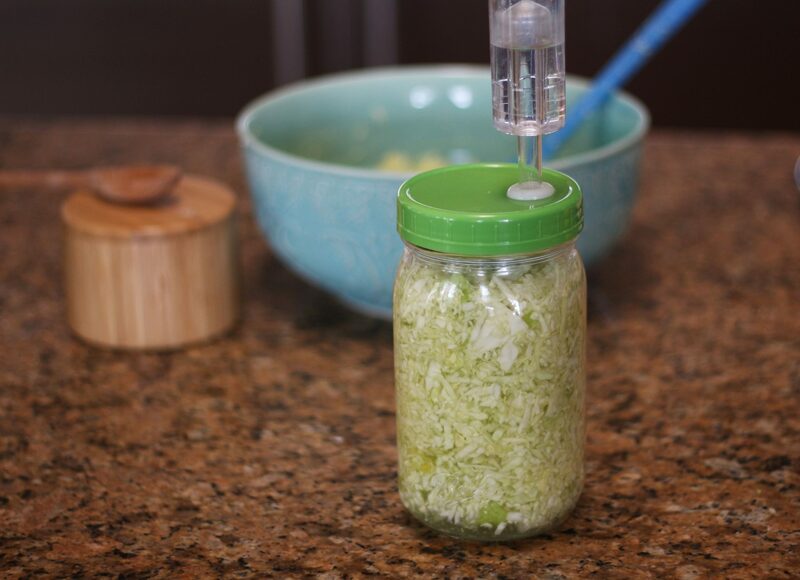 Leave 2 to 3 inches in the jar for the kraut to expand. Place a lid on the jar and set in a cool place, out of sunlight for 6 days.